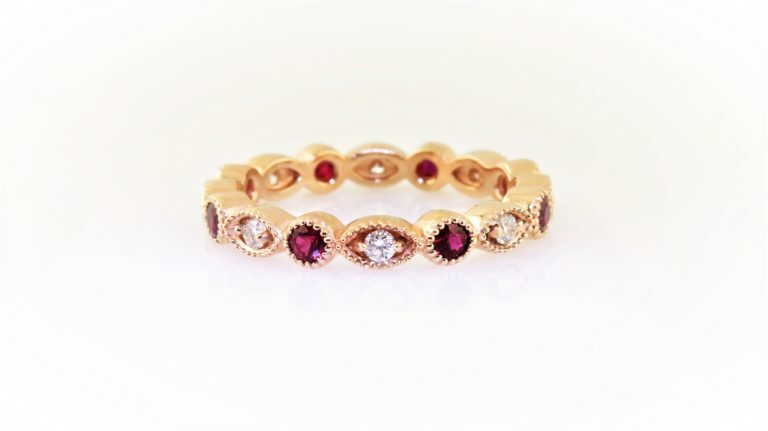 Lovely 14kt pink gold band with 8 round brilliant cut diamonds and 8 round natural red rubies. Total weight .20 and .24 respectively. F/G color, VS clarity. Size 6 3/4. Can be ordered in 14kt yellow or white gold, or platinum. Please contact for more information.